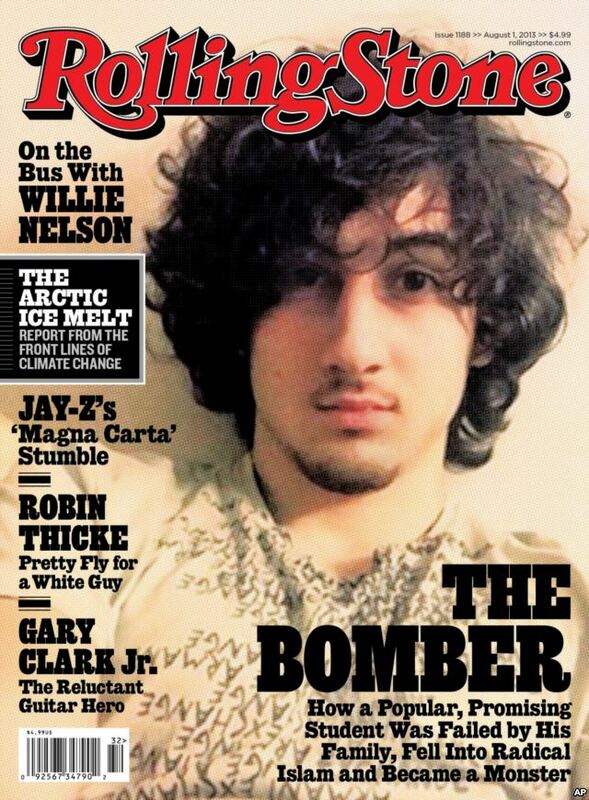 Nobody else is being honest about it, but the real reason folks are manufacturing outrage over this Rolling Stone cover is because Tsarnaev is looking kinda fuckable. According to the traditional narratives, we’re supposed to be dehumanizing this swarthy foreign terrorist. Monsters are meant to be grotesque, and here he is looking like some sensitive singer/songwriter. How dare Rolling Stone allow him into a cultural space reserved exclusively for rock stars? Please. It’s no accident they used a photo of the kid where he vaguely resembles that one-night-stand every sorority girl fucked on a foam mattress in some youth hostel that summer she backpacked through Europe. The editors knew exactly what they were doing. It’s deliberately provocative. It was intended to elicit an uncomfortable reaction, and it seems to be working. This is mainstream media trolling at its finest.